The New World Order is a big threat to sovereign states, speakers at an international conference say. The anti-war initiative, Perdana Global Peace Foundation, has a single goal of putting an end to war. Founded by Malaysia’s former Prime Minister Dr Mahathir Mohamad, the Foundation encourages dialogues between different nations, people and organisations to foster and energise global peace. Its sister foundation, the Kuala Lumpur Foundation to Criminalise War aims to undertake all necessary measures to criminalise war and energise peace. It also found former US President George Bush and former British Prime Minister Tony Blair, among others, guilty of war crimes. The recent activity by the Perdana Global Peace Foundation was a one-day international conference titled the New World Order, Recipe for War or Peace. Dr. Mahathir pointed out that the Transpacific Partnership or TPPA is a New World Order strategy by a powerful pact of people led by the US to dominate the world economy. Other prominent speakers at the conference also said that a secretive power elite led by the United States wants to replace sovereign nation states through regime change. Prominent academic and author Dr Michel Chossudovsky warned that the so-called war on terrrorism is a front to propagate America’s global hegemony and create a New World Order. Elaborating on his argument, Dr Chossudovsky said that NATO was responsible for recruiting members of the Islamic state while Israel is funding “global jihad elements inside Syria. Dr Chossudovsky, who is also the founder of the Centre for Research and Globalisation, further emphasised that the global war on terrorism is a fabrication, a big lie and a crime against humanity. Echoing Dr Chussodovsky’s arguments, Malaysia’s prominent political scientist, Islamic reformist and activist Dr Chandra Muzaffar said that the US has always manipulated religion to further its global hegemony on sovereign states. For example, he said the Arab spring was brought about by Colonel Muammar Muhammad Gaddafi’s resistance to US dominance. But Dr Thomas Barnett who has worked in the US national security services since the end of the Cold War refuted the arguments put forth by the conference speakers as mere allegations and that people prefer to believe in conspiracy theories. Touching on the subject of economic hegemony through free trade agreements, Dr Barnett said that it’s only normal that countries that sign on to international trade deals are subjected to some international treaties and business protocols that they must follow. He also says that trade partners with the US have accrued many benefits and that the US has gone out of its way over the last 40 years to encourage peaceful development. Barnett also pointed out that for the first time in Asian history there is an increasingly prosperous and powerful China, India, South Korea, Indonesia, Malaysia and Japan. 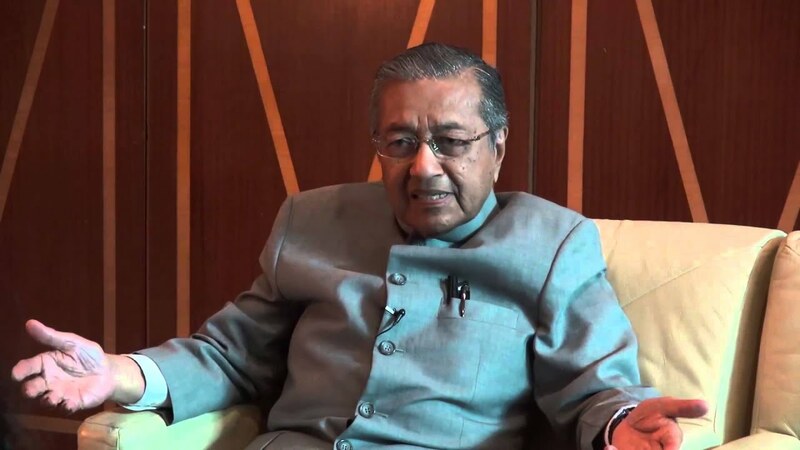 Brushing aside Barnett’s argument, Dr Mahathir in his speech warned governments to be cautious, saying that those who refuse to conform are subjected to economic sanctions. He also said that the one world government wants to undermine all other governments and would not hesitate to invade and occupy sovereign states to achieve its agenda.